Our cold room hire business is an extention of our existing business which are mobile cold room manufacturing, our main focus on the cold room hire devision is to assist our clients with part time refrigeration needs like hunting, catering or any outdoors events that may require some refrigeration equipment. 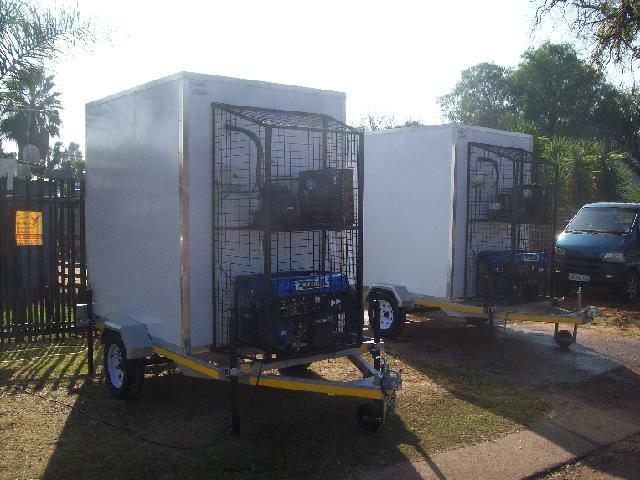 We deliver, setup and collect our cold rooms when hired to make sure that our clients dont have to cocern themselves with the technical aspects of the cold room hire for their events. 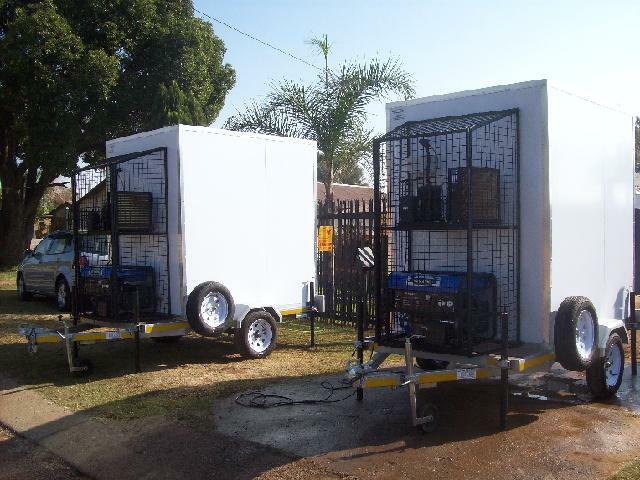 All they need to supply us with is a normal 220V power outlet, although if this is not possible you can always make use of the electric start generator on the unit, it is hired out dry, so the cost of the fuel (petrol) is not included in the hiring price. Our cold room rental prices are available on request, kindly contact us for a quotation for your cold room rental needs, our prices are very competitive and we cater to most of the market relating to cold room rentals. Most cold room rental companies dont cater to the hunting industry, where as our cold rooms are perfect for the use of hunting, transporting or catering. Storage: Cold rooms will be delivered, setup and collected. Whatever your cold room hire needs are, we should be able to assist you. 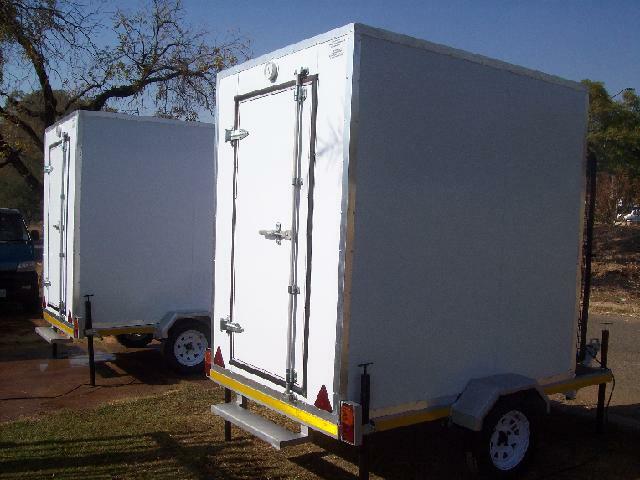 You can also view our mobile cold rooms for purchases on the linked pages.